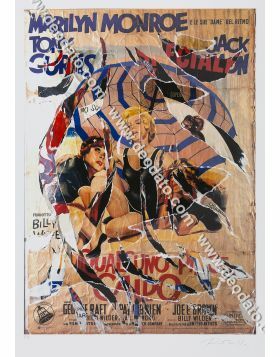 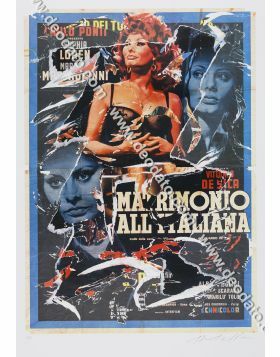 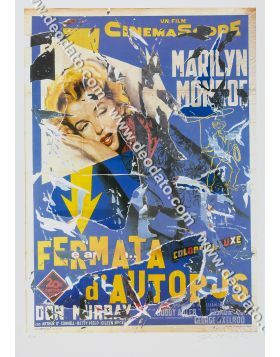 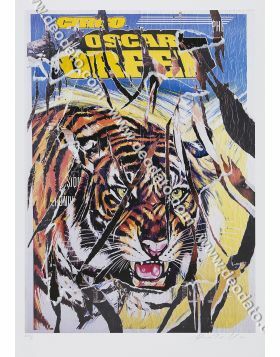 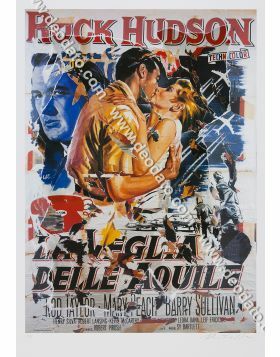 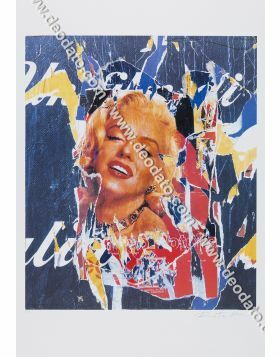 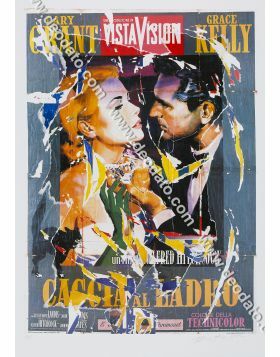 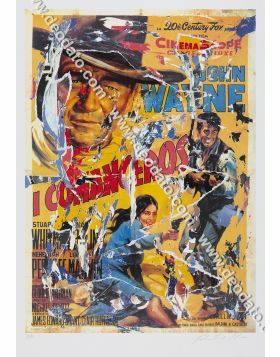 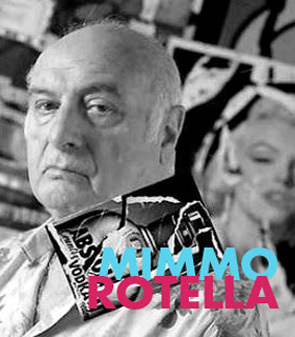 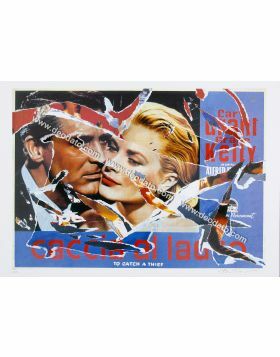 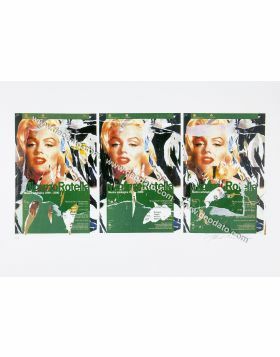 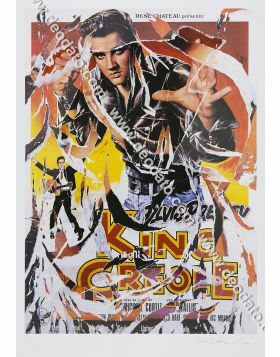 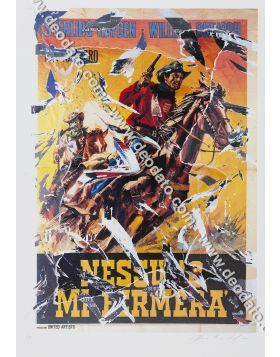 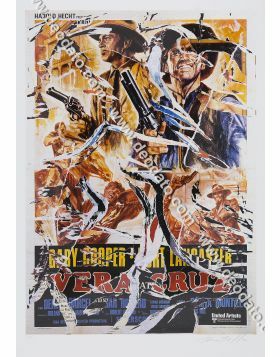 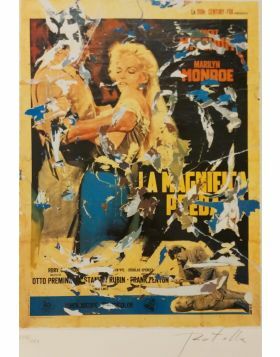 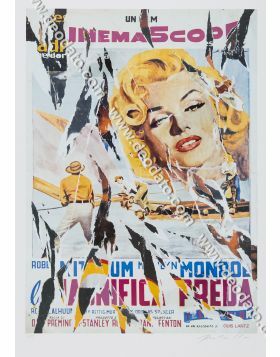 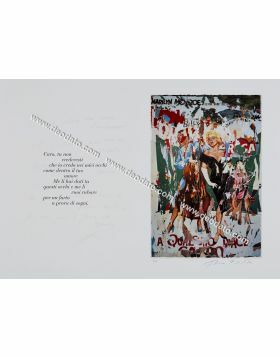 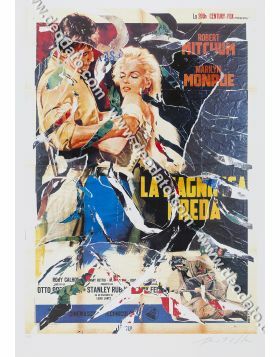 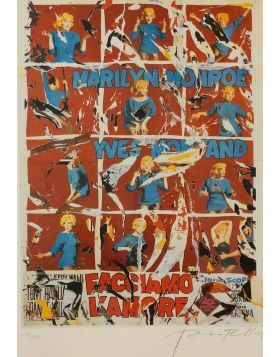 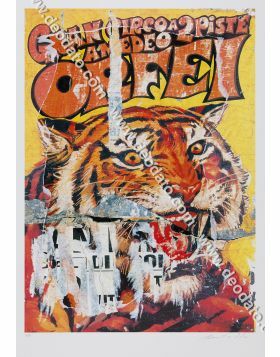 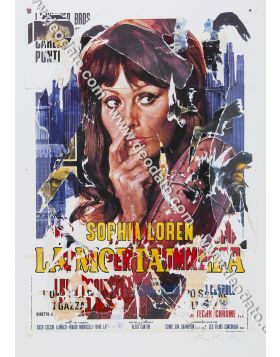 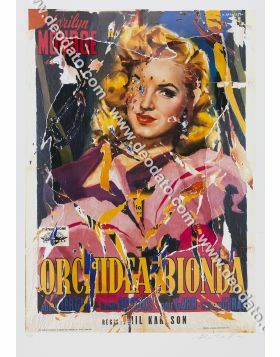 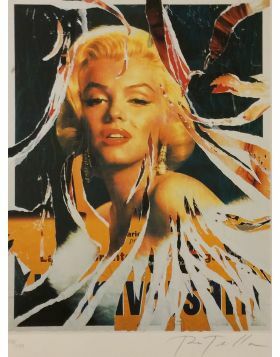 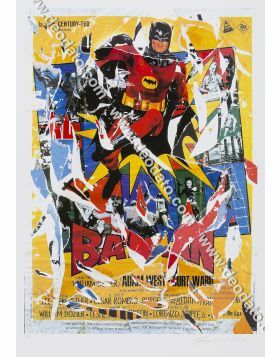 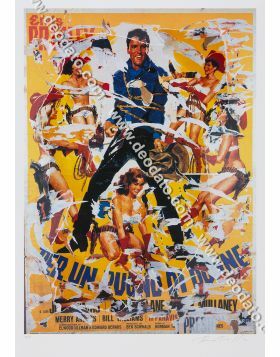 This Mimmo Rotella's multiple decollage torn by hand is a tribute to Marilyn Monroe's myth. 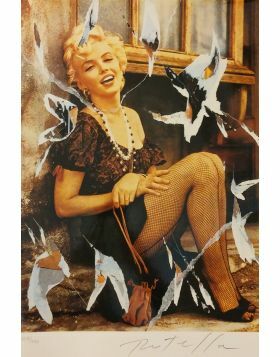 A myth that the young Norma Jean built emphasized her flaws. 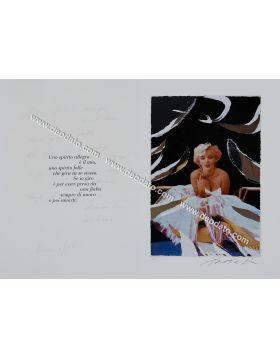 Many forget or they ignore entirely perhaps the fact that the myth of Marilyn is born from the brain and not from the external beauty. 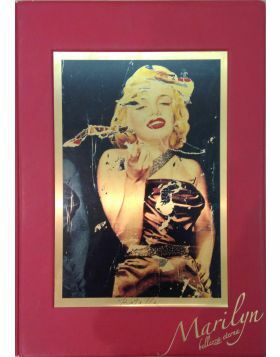 It was the young Norm Jean to mould becoming Marilyn Monroe. 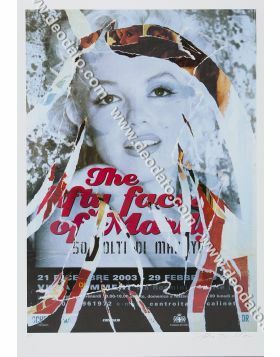 She studied anatomy and she tried expressions and gestures to the mirror. 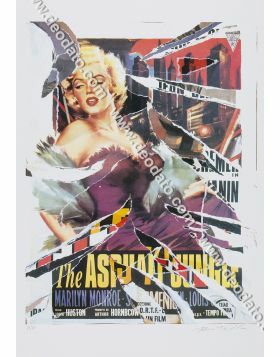 Instead of hidingher defects, she accented them. 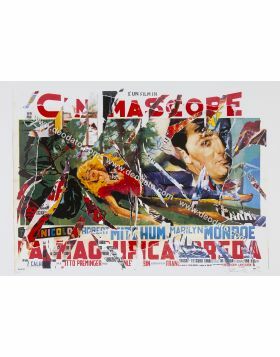 The myopia brought to the creation of that particular mimicry of her: to shell the eyes faking naivety and amazement. 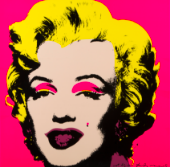 And that smile of her? 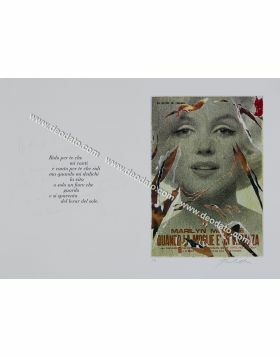 It is not a gift of nature, but it derives from long exercises in front of the mirror. 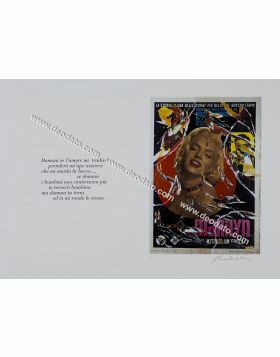 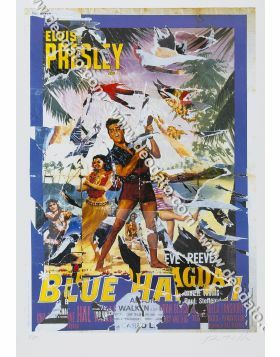 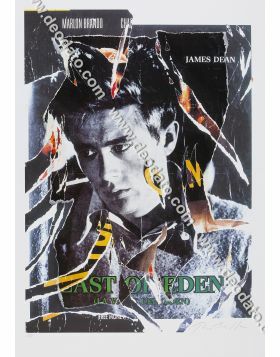 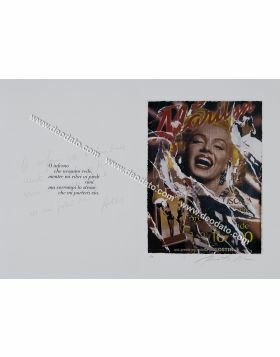 The image of Marilyn of this SeriDécollage is that that she moulded and that brought her to be a myth.